Hey, these templates look very interesting! Thank you very much! i get errors with ie6 (only Template 11,12) there is a gap between the columns. nevermind interesting framework. Emastic - CSS Framework (Beta2) is out! When to use CSS framework? 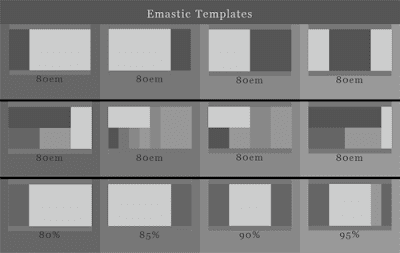 Emastic - CSS Framework(beta1) is out!